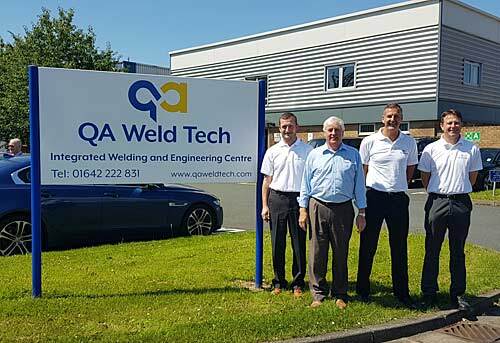 One of the North East’s providers of integrated welding and engineering solutions – QA Weld Tech – has announced plans to continue its ambitious growth by introducing its highly reputable welding and fabrication services into other industrial sectors including nuclear, power generation and petrochemical. Starting life in 1980, the Middlesbrough based business firmly established its roots in the oil and gas sector working with major companies, including Total, BP, Shell, OneSubsea and GE Oil & Gas. Founded by Welding Engineer and current Managing Director, Charles Tighe, the company began its operations from a 600sqm unit in Riverside Park Industrial Estate, Middlesbrough. Having grown steadily, the firm now occupies nine adjacent workshops at the Riverside location, providing production space in excess of 4600sqm.